After over a decade riding for Specialized Darren "Bearclaw" Berrecloth is moving on... that's some big news right there! 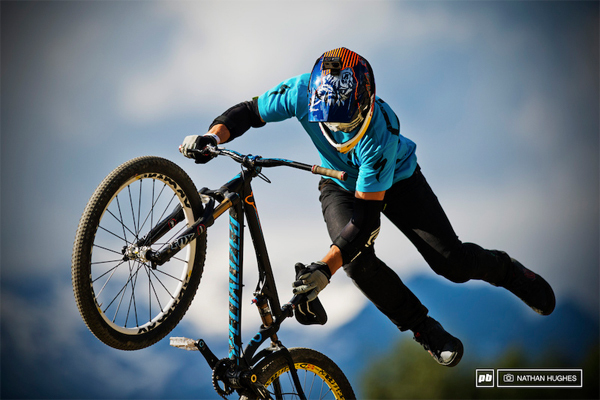 Bearclaw has kept the mountain bike brand at the front of the freeride/slopestyle segment of mountain biking and as a parting gift Specialized Bicycles have commissioned a video to acknowledge what he's accomplished. "Specialized would like to thank Darren Berrecloth for everything he did for freeride mountain biking and for the Specialized brand. It's been an honour to take this journey alongside him, and Specialized wishes him the very best in his next chapter."